We are very proud to be officially listed by Inc. Magazine in their annual ranking of the fastest-growing companies in America! We are also very proud to be named one of the top 5 Businesses in the Greater Denver Area in 2018 by the Denver Metro Chamber of Commerce. We were also in Forbes magazine as one of the Small Giants: Top 25 Small Businesses of the Year for 2017. Read more about the story in our blog. Check out the Small Giants 2017 Slideshow and the Small Giants 2017 Video. Saul the Sticker Ball has a new feature video to accompany the upcoming article in the 2018 Guinness World Records Book, and he has certainly been catching some attention! Check out his features in Laughing Squid & Mashable. 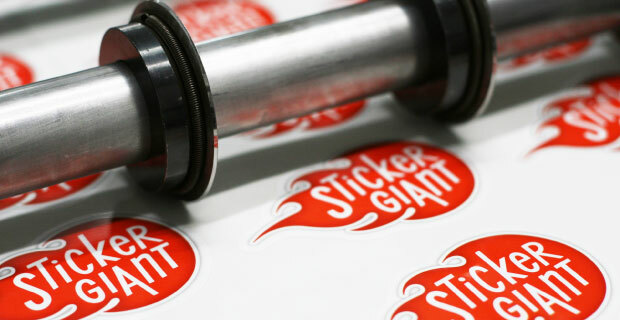 StickerGiant is the home to the World's Largest Sticker Ball. On the first-ever National Sticker Day, January 13th, 2016, StickerGiant set a Guiness World Record at Wibby Brewing in Longmont for the World's Largest Sticker Ball. June 2016 story in Longmont Times-Call about the move into our new facility.